Finding the right vacuum for your home isn't always easy. Throw in the high prices of popular brands like Dyson and Miele, and it makes the decision that much more difficult. Today, the choice is easy. 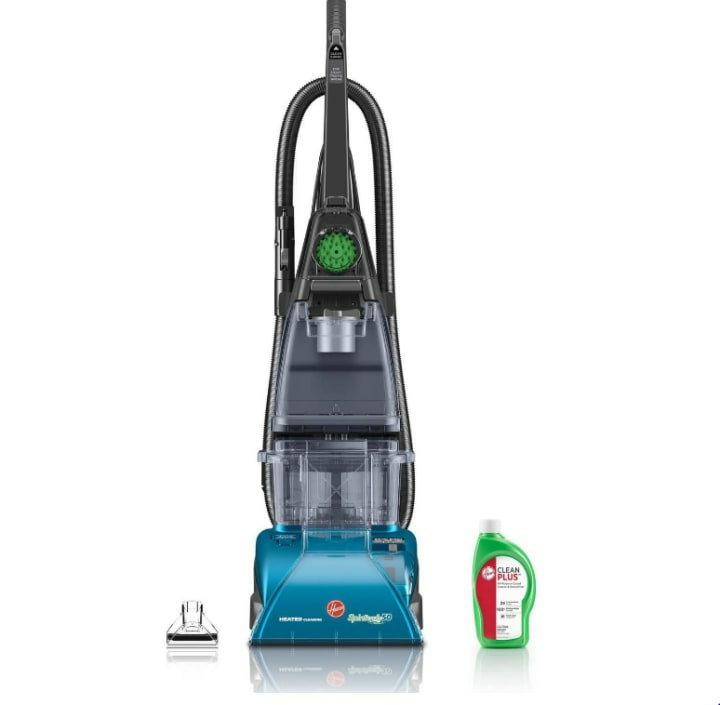 This high-rated Hoover SteamVac, which comes with a a bottle of CleanSurge Carpet Cleaner, is more than 50 percent off. The vacuum is perfect for all types of messes, from the usual crumbs on the kitchen floor to more serious spills on carpet and upholstery. It's also equipped with powerful scrubbing brushes, a heated drying tool, two hand tools and dual tanks for optimum cleaning. One reviewer simply touts that the vacuum is "exactly what I was hoping it would be." Another claimed it "got out a couple stains that have been there for almost 3 years that I could NOT get out. I am one happy momma." If you're in the market for a new vacuum, you'll want to jump on this deal fast. Deals under $100 don't come around too often! Is a robotic vacuum more your speed? If so, you can check out one of our favorite options that's also on sale. And, be sure to check out our list of the Best Labor Day Deals of 2018.